Dhaba – a roadside restaurant of sorts – originates from the Indian Punjabi culture. It typically consists of a structure made from mud and wooden planks with charpais and the occasional hookah strewn around. Desi food and ethnic props give these rickety restaurants their rustic environment. Dhabas are a reminder of a simple way of life that has been lost in the mundane affairs of our materialistic society. 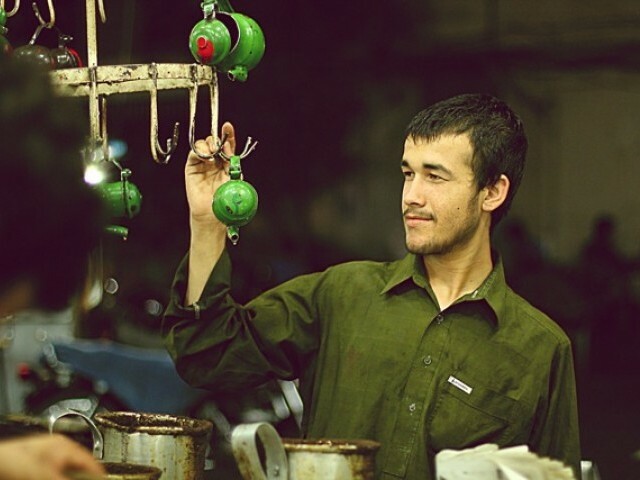 The dhaba culture has been prevalent throughout Pakistan, particularly in Karachi. And I have seen a shift in the function and status of dhabas from being an after-work hangout for menial workers to the trendy recreational spot that they have become in recent years. Dhabas in Karachi are now frequented and enjoyed by the rich and poor alike. Although most dhabas attract their clientele with their finger-licking desi cuisine, these cafes have become more than just eating-out places over the last few years. Their patrons frequent them due to their pleasant and homely ambience, delicious food and aromatic chai. People of all ages, social standing and gender have something in particular that they enjoy at the dhaba of their choice. Older people enjoy the comfort and old-school charm while the youth take pleasure in the hookah and chai. For some, a dhaba serves as a place to unwind after a long day’s drudgery while for others it is a place for fun and frolic. I have always found it interesting how the time of the day affects the kind of patrons to be found at a dhaba. On a Sunday morning, you may see groups of families and friends enjoying fresh halwa puri for breakfast at a dhaba. On any given afternoon, flocks of students may stop by at a dhaba for tea or an inexpensive and quick lunch while working people may prefer to drink doodh patti at the dhaba closest to their office – instead of drinking the dull, watery tea served in most offices. And of course, nothing beats hot, aromatic chai with a layered paratha dripping with desi makhan (desi butter) on a chilly, winter evening. Foreigner? You would love our dhaba food! This craze for dhabas is not just limited to our locals. Even one of my cousins who lives in London, prefers to go to a dhaba rather than an expensive restaurant. Even the best restaurants here have little value for those living abroad and they would rather visit a place unique to our culture. What better place to visit than a dhaba for that true ‘taste’ of Karachi? So, one morning we took him to one for some halwa puri for breakfast. He even took pictures of the food and the local decorations to share with his friends back in London. And to end the meal on an appreciative note, he even burped. All kinds of local dishes can be found at dhabas including doodhpati, baqarkhani, bun kabab, lassi, cholay, karhai, daal, biryani, parathas, fried egg, samosa, kachori, sarson ka saag and makai ki roti. You name it and they have it – hot and fresh. 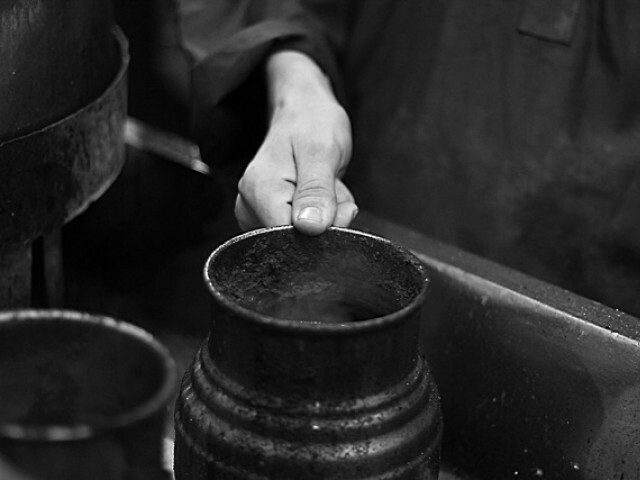 But for typical Karachites, strong and aromatic chai and crispy parathas remain the most favourite items at dhabas. Is your wallet a tad empty? One of the things that attracts people to these roadside cafes is that the food is not only delicious, it is also cheap. At a time when even basic necessities are ‘upping the ante’ in Pakistan, a scrumptious desi meal at such reasonable prices is no less than a blessing in a pricey city like Karachi. 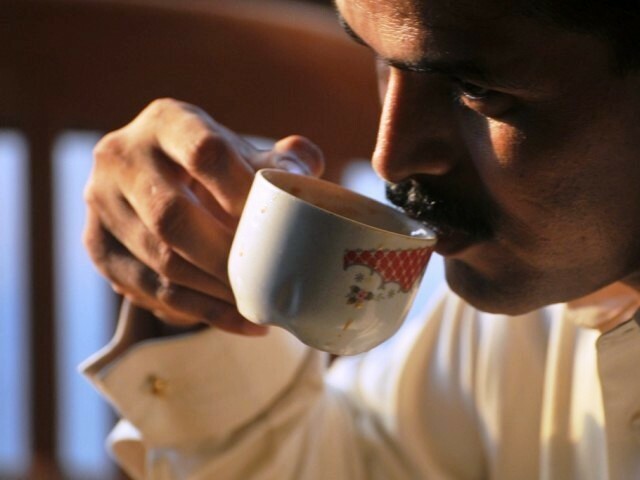 Which dhabas have you visited in Karachi? Although there are thousands of dhabas across Karachi, the exact number is unknown since they are not registered by the government. Every area has a dhaba – sometimes more than one – of its own. 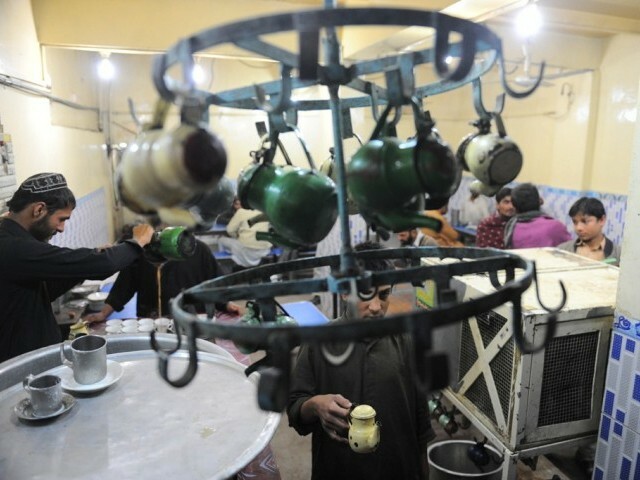 The famous dhabas across Karachi include the Delawala Dhaba in Clifton, Chai Dhaba in Defence, Fakhir Hotel in Bahadurabad, Dhamthal in Federal B Area, Mehran Hotel and New Quetta Hotel in North Nazimabad and Chowrangi wala Hotel in Gulistane Johar. Dhabas can even be found in university campuses and the Karachi University has its own Sufi Ka Dhaba and Majeed Hotel. There is literally a dhaba in almost every corner of Karachi. Their sheer number is testament to their popularity among the locals. 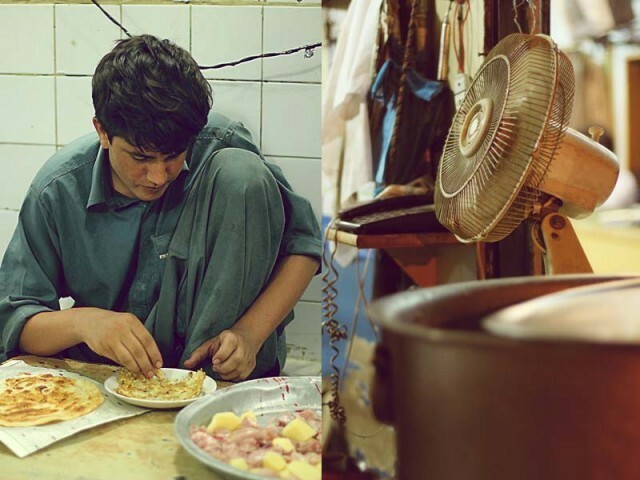 In addition, these cafes provide employment to the thousands of people who move to Karachi in search of a better future. From chefs and tandoors to bus-boys and servers, these dhabas take young men from all over the country into their fold to give them a decent wage and food to eat. 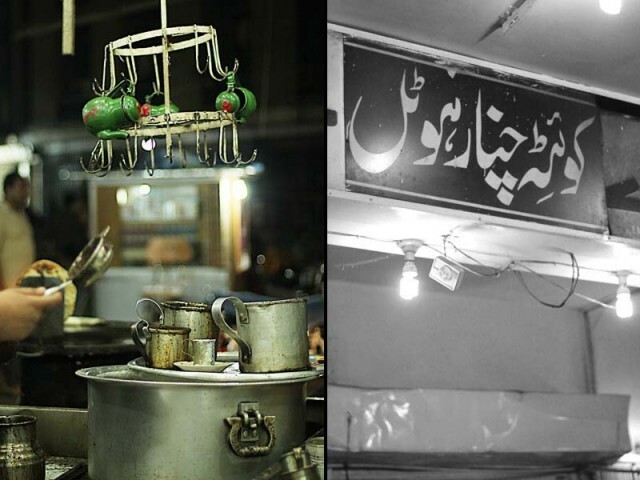 Do you know the ‘cool’ dhabas in Karachi? 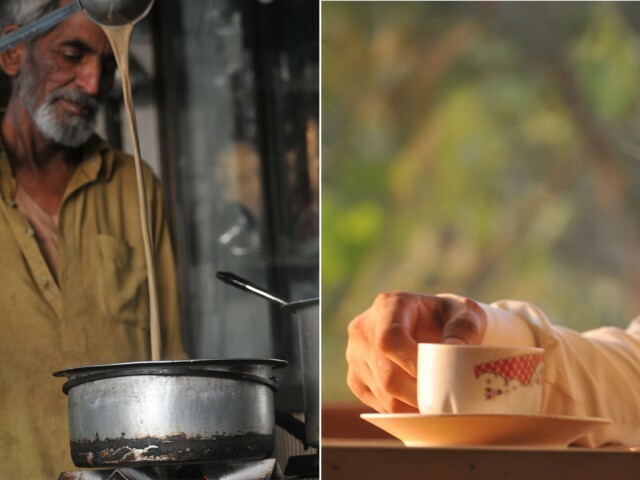 And then, there are the trendy, upscale dhabas – the likes of Chai Master and Baba Ka Dhaba. 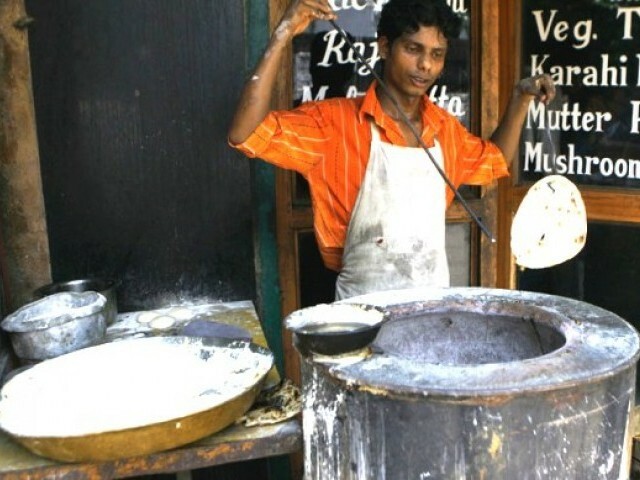 In addition to selling regular dhaba cuisine, Chai Master also serves ‘disco chai’, coffee and Nutella parathas. They even boast a Facebook page. Baba Ka Dhaba serves chai as its specialty and offers hygienic desi breakfast, lunch and dinner at reasonable prices. 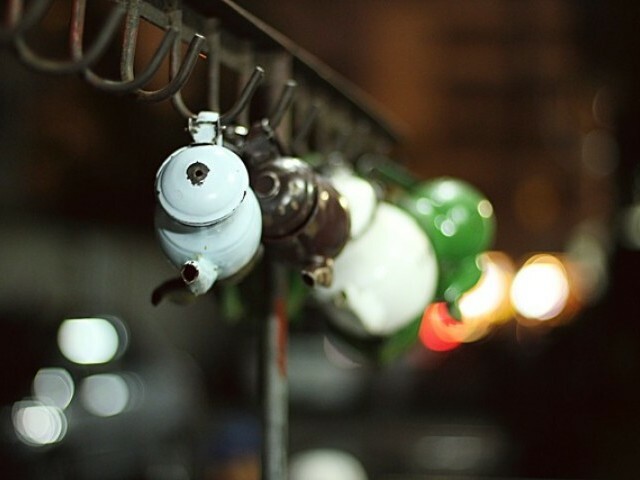 The presence of these rustic restaurants has a very strong influence on the people of Karachi. They allow people to step out of their fast-paced life and cherish life’s pleasant and lovable moments while they sip on a cup of steaming doodh patti. However, as with pretty much everything in Karachi, security at dhabas remains questionable since they are more vulnerable to attacks due to their open and exposed setting. Our security officials should ensure safety at such places that attract thousands every day for food, recreation and employment – or else we may see this colourful trend of Karachi also dwindle away in the coming years. What a refreshing Article about the simple pleasures of life. Pakistanis are SO materialistic and kind of ridiculous in this regard. It might sound funny, but I have seen people looking down upon US “The Chai looog” You don’t take Coffee ??. there comes the sarcasm lurking in their statement. Every simple thing about life has been degraded… People these days worship the vain desires of this materialistic life. Every thing is about being BIGGER, BETTER, RICHER. The Caption should have been ” The dudhpatti chai of the commoners caught the fancy of .a burger” . and by the way you mentioned “hygenic” parathas …ehhh? there is no such thing you would ever found in a dhaba .The “ghee” they use are extracted from such a varied sources , your imagination wont even reach that zenith . Glorifying the dhaba! What next? An ode to Qinchi? One of my favorite topics to talk around. However, my perspective is always towards their business tactics and how they own their customers. I spent a lot of time in these ‘dhabbas’ observing their acts, customer handling etc. Good solid info. Have written down names for future reference. Sara, good writing. BUT IF you are a real fan of Karachi dhaba food, you need to create Youtube clips of the most memorable dishes of each dhaba, making sure that the techniques and ustads are given due prominence. That is called recording cultural history. I am an Indian who keenly follows the “street” food of Pakistan, and have catalogued the Lahore, Peshawar and Karachi clips available, and also by the types of dishes, e.g. karahi/ chicken,, karahi/lamb, and so forth. 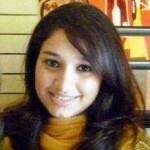 I think you are on the right track but still in the shahgird category, beti! lol! Your profile says you love to write, but you must love to also, and be a mamuli person as well, even a bekaar-type who carries home dripping meaty stuff in plastic bags, 1 order Rs.140, extra roghni! Are you prepared to have such “horrible” food touch such cultured lips or run off to explore the karhai found only at this or that naka-bandi? Thank GOD someone publishes a refreshing read that praises things worthy of praise in Pakistan.